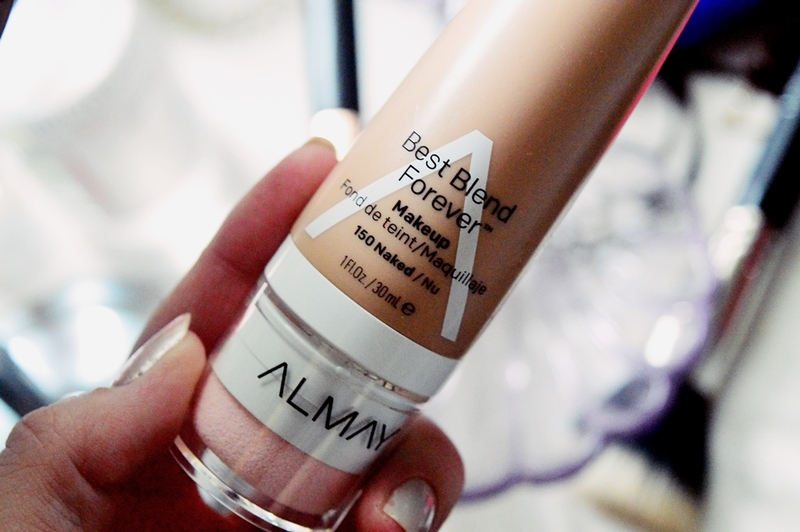 It has been ages since I posted a foundation review and it has been YEARS since I posted a review on an Almay foundation. And seriously, they have hit it out of the park yet again! 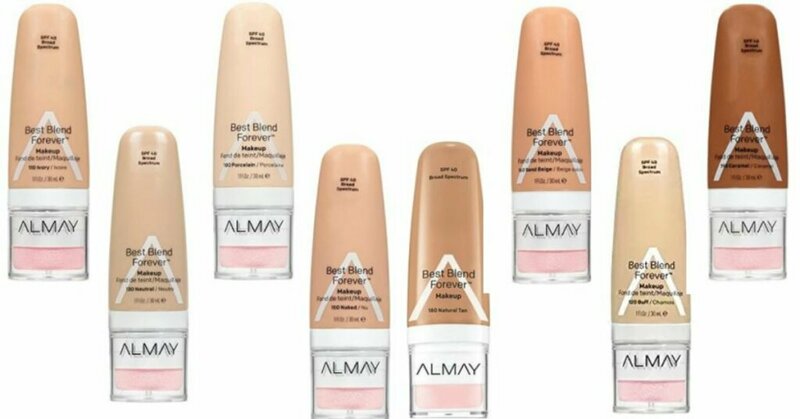 I’ve said it before but I have always found Almay foundations to be some of the best yet. The Age Essentials foundation is one of my absolutely favourites to date. I wrote about that foundy here, but I actually fell more in love with it after that initial post went up. I’ve got to interject here and apologize for the atrocious images that are to come. I really wanted to get this post up but I have been so busy. There has been no time for leisurely blog photo sessions and I had to quickly snap these one day after work. 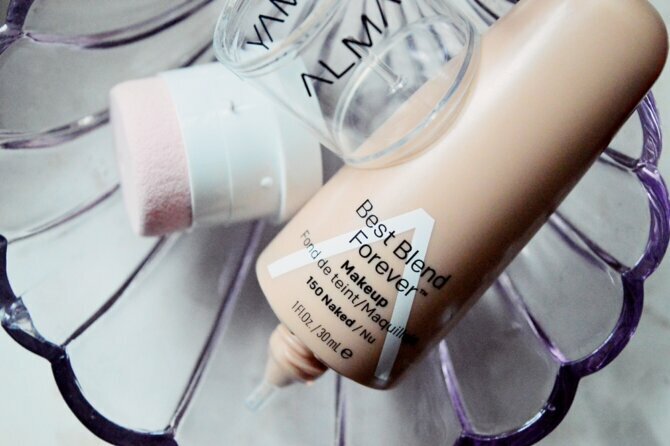 The Best Blend Forever foundation launched in December 2018 so it has been around for a good couple of months already. You can buy it exclusively from Dis-Chem for R270. First off, and most important, the SPONGE TWISTS OFF! Oh my heavens. For the first three uses I applied the foundation via the sponge applicator. I fell in love with the foundation overall but I could not get over the fact of the sponge being super unhygienic. You simply twist the cap off to reveal the thinnest and super hygienic nozzle applicator. The foundation has a built in moisturiser which means the product formula you are getting is one with a very serum-y texture. I love this as I have dry to dehydrated skin and the built in moisturiser leaves the formula feeling very hydrating on the skin. I will however always use a separate moisturiser before applying the Best Blend Forever. For the purpose of this post I used three different moisturisers (NIVEA, Elemis and Nuxe) and they all worked beautifully with the foundation. The foundation overall was a beauty for me. The formula was lightweight yet creamy and blendable. It is definitely not a high coverage foundation but it is buildable. You can achieve a great light to medium coverage depending on how heavily you go in with product. I prefer it for good skin days as it leaves the skin beautifully dewy and you can 110% see the luminosity that the moisturiser adds to your complexion. All in all I would recommend this foundation to someone who is after a light to medium coverage. Likewise if you are someone with drier skin, this would be more your cup of tea. I think oily skinned peeps would possibly have an adverse reaction to the built-in moisturiser. But I really cannot speak to that aspect. So a big Make it Rayne thumbs up from me! Are you after a new foundation? Do you think you’ll be trying this option out?